Receiving an update for 2018, the new-and-improved Louis Garneau Women's Nova 2 Cycling Vest still provides the same versatile protection you've come to love, just in a sleeker package. 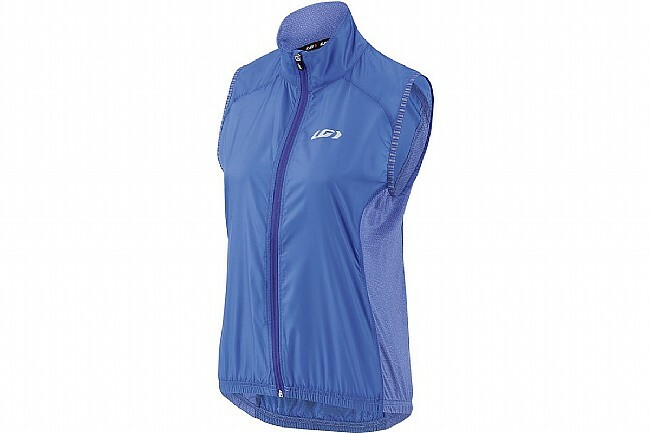 Blending two of their technical fabrics, Louis Garneau targeted breathability with wind- and water-blocking protection. The full-length zipper allows for quick donning and doffing, and the vest packs down small enough to easily be stored in a jersey pocket in case you find the riding conditions more pleasant than you expected. 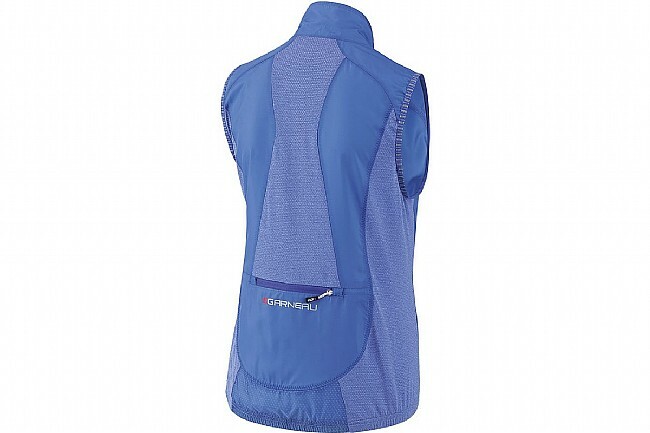 Featuring a blend of technical fabrics, this vest optimizes breathable protection. Diamond Air 2.0 Fabric is light, breathable, water and wind-repellent. AirFit Mesh is a semi-opaque lightweight mesh, providing comfort, flexibility, and moisture control. Stretch reflective trim at arm openings. HiViz360 for 360º visibility in low-light conditions. So comfortable and fits well I want to wear it for other activities! I wear it over a jersey or long sleeved top for cool days. Love the stretchy band on it...no tight fitting elastic.